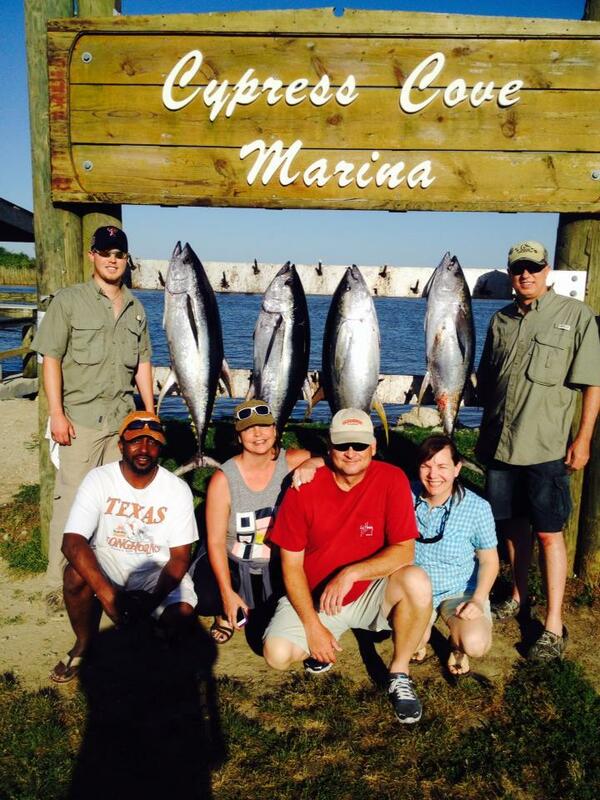 The tuna fishing is pretty good. But it’s a quick bite and then it’s over. If you haven’t caught them by noon they are done for day. Capitalizing on all bites has been real important. The fish have been a mix of 30-100lb yellows and all eating live baits. So have the sharks so for a investment tip by stock in Seaguar Flurocarbon. The sharks have been Relentless and have been chewing up leaders just about as fast as I can tie them on. 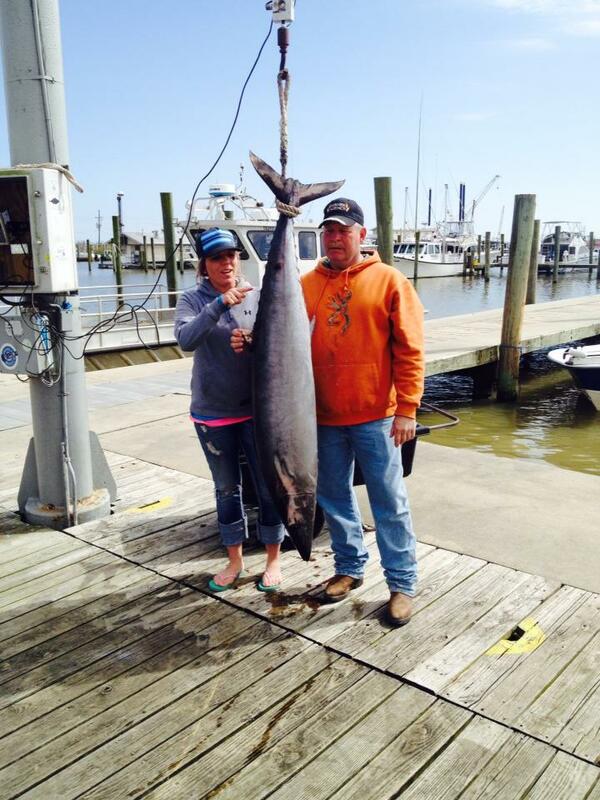 We did get a susprise wahoo on a livebait with a Trokar TK-5 9/0. Other than that it’s been all yellowfin 60-80 Fluro has been getting the bites and the 9/0 Trokar has been the hook of choice for the size livebaits we are using. The wahoo fishing has been excellent. Here is some video from a recent big one we got. Here are some pictures that my client took from a trip this week. 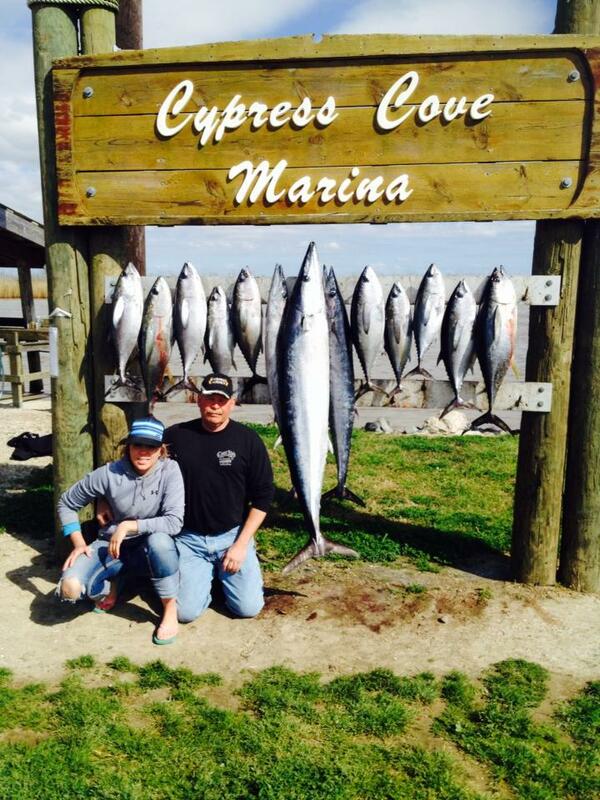 The day was action packed with catching yellowfins, blackfins and big wahoo. Well my knee held together altough I don’t it’s happy with me now. Big thanks to Jay Powell for coming out to help out today. We had blacks, yellows and wahoo to 82lbs. Good day but a little on the rough side.